Domestic Autopro in Pleasanton is the best choice for high-quality Chrysler service and repair. We have a team of trained and skilled auto repair technicians who are proficient in providing top-notch Chrysler service and Chrysler repair. You can always count on us to handle both small maintenance jobs and major repairs. Customer service is of utmost importance for us at Domestic Autopro. The majority of our current customers have been part of our family for many years because they know that we are honest, reliable, and trustworthy. Whether it's big or small, we get the job right the first time and in a timely manner! Our team of highly-skilled and trained repair technicians uses only the latest equipment and tools to properly diagnose problems when performing Chrysler service and repair in Pleasanton. As soon as we know what's wrong with your vehicle, we immediately inform you what needs to be done. 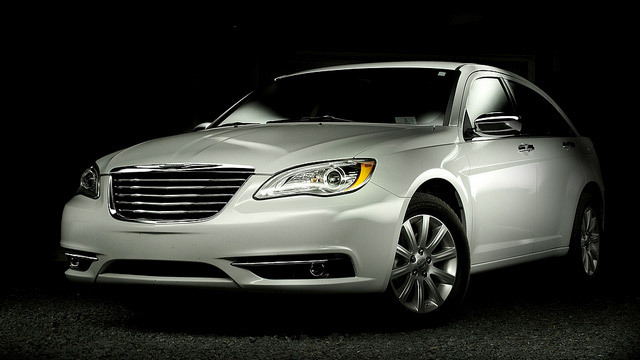 Domestic Autopro is here to help you with your Chrysler service and repair in Pleasanton. Give us a call today or schedule your appointment online, so that you can see what makes us the number one choice for top-notch Chrysler repair and service in Pleasanton. We are a local auto repair business that employs professional, certified, and friendly auto repair specialists.